The new English Literature GCSE might be contravening the 2010 Equality Act, according to concerns raised by a teacher. This raises serious questions about which disabilities should lead to students being given special dispensation in exams. The new GCSE, which will be taught from September 2016, requires students to remember a number of poems and analyse at least one. Mary Meredith, a teacher and blogger who works with pupils with special learning needs, argued in an open letter to education secretary Nicky Morgan that those with dyslexia may be disadvantaged unfairly because they typically experience problems with verbal memory. She has asked for the exam to be adjusted for dyslexic pupils. There are a number of problems with this argument. The usage of the term “dyslexia” has expanded to the point that it has now lost much of its explanatory value. Initially it was used to describe very rare cases in which people could make little or no sense of the written word. Now it has become the diagnosis of choice to describe individuals exhibiting one or more of a wide range of cognitive difficulties involving areas such as memory, speed of processing, attention, concentration, analysis and synthesis, organisation and self-regulation – controlling oneself and one’s actions. While not all those with reading difficulties experience memory problems, and not all those with memory problems struggle with literacy difficulties, there is clear evidence that a greater proportion of pupils with reading difficulties encounter problems with short-term or working memory. However, working memory appears not to be a particularly powerful predictor of reading difficulties. Short-term memory essentially involves holding information in your mind for short periods of time, for example trying not to forget a phone number while you struggle to find a pencil. If this information slips away, it is typically gone forever – what is called “catastrophic loss”. Working memory is very similar but also involves the process of doing something with the information while we are holding onto it, for example, undertaking a complex calculation in our heads. These types of memory are rather different from those involved in remembering information that has been stored for a longer period – such as the ability to recite a poem from memory or the reasons behind the Russia revolution. The evidence that poor readers have particular difficulty with this latter form of “long-term” memory is much weaker, with inconsistent findings from research studies. We cannot assume that someone with a diagnosis of dyslexia has one particular type of memory problem or, indeed, any memory problem at all. There is also the question about how we should respond to those people who have poor memories but are not considered to be dyslexic. It would be a travesty to automatically diagnose all those with working memory problems as dyslexic even though, anecdotally, this seems to be an increasing tendency in university disability services and in some school contexts. Students’ memory abilities will be normally distributed within the general population – this is typically the case for any cognitive process. So how can we best respond to those who argue that their memory difficulties disadvantage them in examinations? One solution could be to establish a national screening programme to identify all those who encounter various memory difficulties and who might be deemed to need special arrangements. Clearly, this is not feasible or desirable. Alternatively, if we conclude that all examinations discriminate against those with memory problems, there would be a logical argument to be made for scrapping examinations that place any burden upon recall. Open book exams, where a student has the relevant information in front of them, is one possible solution, but it might also be challenged on the grounds that those with working memory difficulties are still disadvantaged. As I hope it is becoming clear, there is an inherent weakness of logic here. In reality, examinations are not just designed to test a student’s memory. They tap the ability to utilise knowledge and understanding in ways that are underpinned by a whole range of intellectual abilities. These include processes such as memory, speed of processing, attention, concentration, analysis and synthesis, organisation and self-regulation. But herein lies a major problem: that’s a very similar list (see the second paragraph above) that is often used to describe those with a dyslexic disability and who seek and are offered special assistance or modifications in exams. Special arrangements were derived to give everyone a fair opportunity to access and engage in examinations. Where someone has a physical disability it makes obvious sense that they should be able to record their responses in alternative ways, for example, by dictation or a modified keyboard. Where a student is blind, it is wholly appropriate that a person or a keyboard should read the questions (and the candidate’s responses) back to them. In such situations, the individual is getting no additional assistance that gives them an advantage over other candidates. However, where the person’s difficulty involves the same processes as those being used to differentiate between candidates’ academic performance, for example, remembering detail, or being able to marshal and express a complex argument in a time-constrained period, we run the risk of helping some while disadvantaging others. Where the underlying problems concern cognitive processes such as memory, processing speed or attention, the preferred strategy should not be to modify examination conditions. Instead, it should be to assist students to develop strategies that can assist them to perform as well as possible, targeting additional resources towards the provision of workshops to improve relevant study skills. Currently, understandings and practices around this issue are so confused that the existing systems are getting increasingly out of control. Universities, for example, are provided with assessments and recommendations from privately funded educational psychologists that are often difficult to challenge. 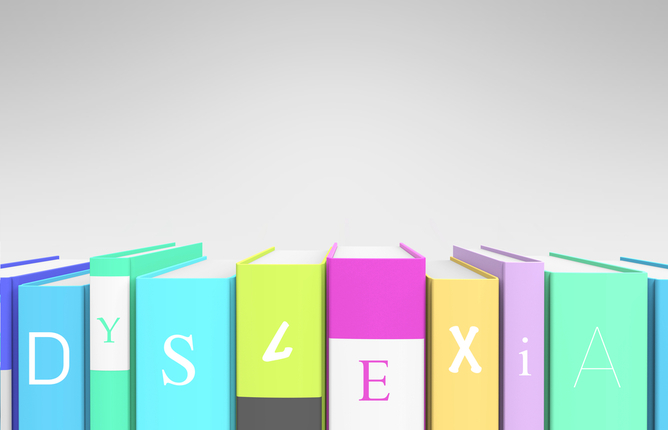 The fact that many of these reports are severely flawed – for example, many still employ the now widely discredited IQ discrepancy criterion for dyslexia – seems not to be considered problematic by politicians and civil servants, whose focus appears to rest primarily around the increasing cost of provides resources for more and more diagnosed dyslexic students. If individualised resourcing and exam accommodations are to be provided for particular cognitive weaknesses, we need a more sophisticated understanding of exactly which difficulties, at what level of severity, are appropriate for special assistance. What should be more widely understood, however, is that these processes are significant in the way we currently differentiate between students’ academic performance. So to assist one person, but not another, in this fashion throws up serious questions about equity and fairness. Julian Elliott is Professor of Education and Principal of Collingwood College at Durham University. This entry was posted in Articles, Dyslexia, News and tagged dyslexia, exams, learning difficulties, reading difficulties on 19th June 2015 by Anne Glennie.